Any one who who wish to sponsor these precious children for their food can sponsor a child , family or few of them on monthly basis or one time payment of any amount as they wish. 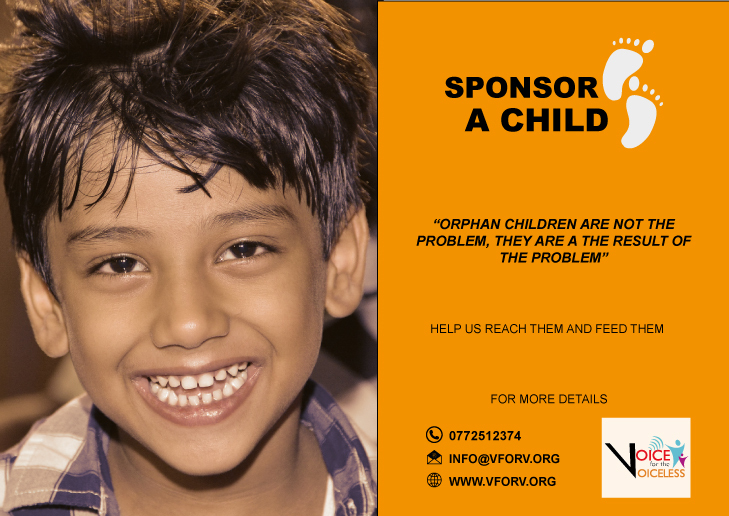 We are also looking at long term individual sponsorships where a certain person can sponsor a child on monthly basis till they become 18. What we are Looking at here is not just only financial help but to help them them with their education and other needs and to help them become better children with similar opportunities. Many of these children are been deprived from their right to be belong to a family, right for education and right for good health and safety due to family backgrounds they are in.. our aim is to help them become who they are and to give opportunities for them to make it in life.